The February 2019 meeting minutes are now online. Freedom of Information Act info has been added to the services section. This site was created in an effort to keep our residents informed and involved in our community. The goal is to provide residents with greater access to information, anytime, anywhere with the opportunity for greater involvement in local matters that impact all of us. We encourage you to visit this site often to keep informed on the townships decisions, services and events, including meeting dates, agendas and minutes. Many forms and ordinances can also be located on this site. 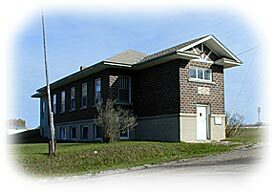 The Township of Munro is located in beautiful Cheboygan County, in Northern Lower Michigan. We are approximately 36 square miles in size and have a population of 571 residents per the 2010 census. As a General Law Township, we are governed by a five member board of trustees. This board consists of a Supervisor, Treasurer, Clerk and two Trustees who are elected by the residents of Munro Township.